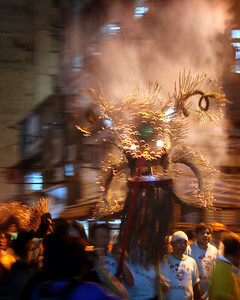 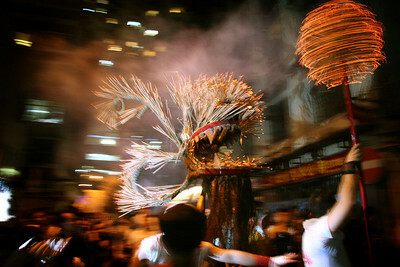 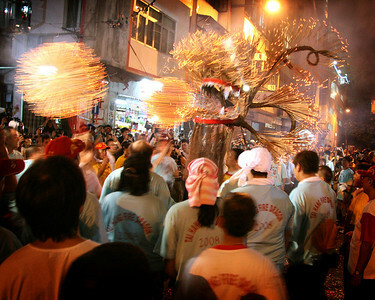 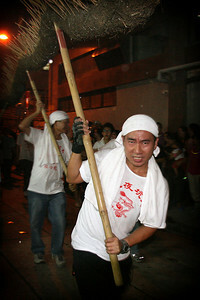 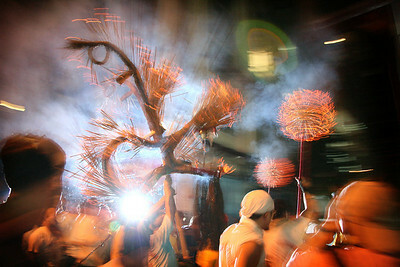 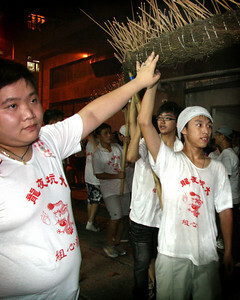 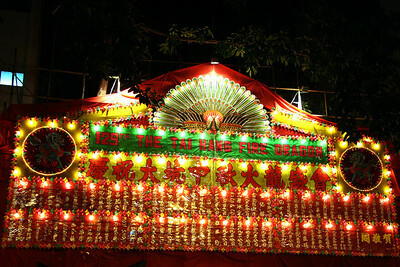 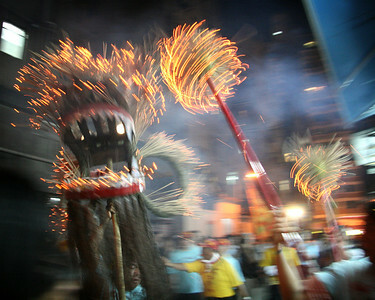 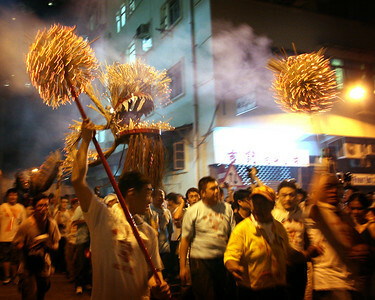 This is one of the most interesting festivals in the Hong Kong calendar. 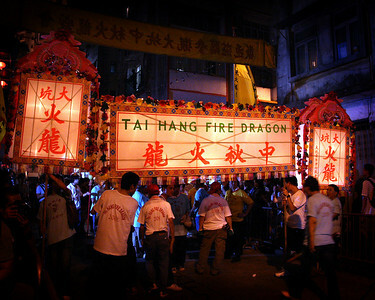 It takes place in the narrow backstreets of Tai Hang district in Causeway Bay and is unique to this district. 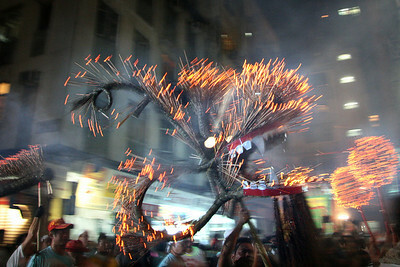 Fire Dragon, School Street, September 2008 Or is the Balrog from Lord of the Rings?